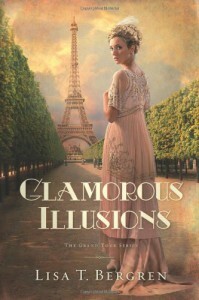 I enjoyed Glamorous Illusions very much. The main character, Cora, is a strong girl who is flawed enough to be both believable and relatable. While her faith is tested and shaken, it is the thing that pulls her through her many trials and I found the Christian message especially heartwarming. My one and only complaint? I did not find the ending to be as complete as I would have liked and I am left feeling that I have to read the second installment in hopes of obtaining a complete story. I am, however, looking forward to the second book, but am not a fan of authors forcing it on their readers.